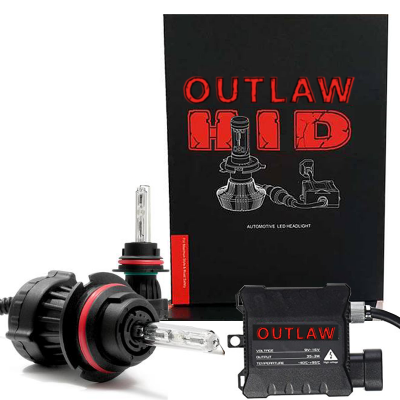 This OUTLAW Lights HID kit is a full replacement of your current dual filament H4 bulbs with a high intensity brightness high/low beam (bi-xenon) HID headlight system. This HID Kit is 500% brighter than your stock bulbs. It boasts a 3,000 hour run time and is covered by a 2 year warranty. Our CANBUS 35/55w Watt Bi-Xenon HID Kit will replace your dual filament OE bulbs with Ultra High Power HID technology with unmatched reliability. It has an advanced digital design for ultimate compatibility in all vehicles! 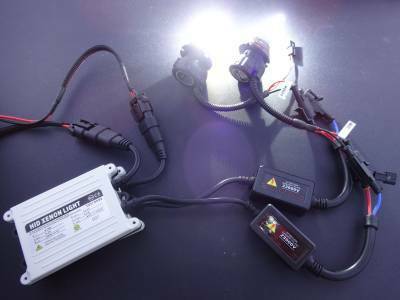 The CANBUS 35/55 Watt HID Kit is up to 5 times brighter than your OE headlight bulbs. Replace your factory low and high beam bulb with the CANBUS 35/55 Watt HID kit. In addition the a huge increase in light output, the CANBUS 35/55 Watt HID kit carries a lifetime guarantee! Installation is incredibly simple: Plug & Play. If you can change your headlight or fog light bulb, you can install an the CANBUS 55 Watt Bi-Xenon Beam HID Kit. Installation usually takes less than 60 minutes and does not require and modification. Covered By A Lifetime Guarantee! 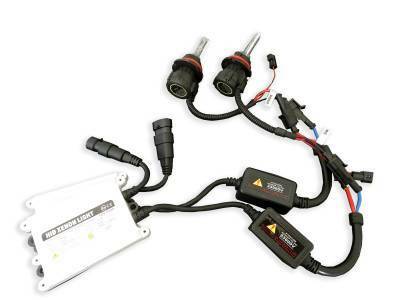 Our HID headlight kits are extremely reliable, and fully backed for 2 years! Our HID Headlight kit is designed tough with dust, water, and shock protection. These HID headlight kits are designed to be used on both highway and offroad vehicles, meaning they will stay lit in every situation. Lifetime Guarantee: Ballast and bulbs are covered by a lifetime warranty. Ballast Dimensions: Length: 2-5/8" x Width: 4-1/8" + Wiring x 5/8"